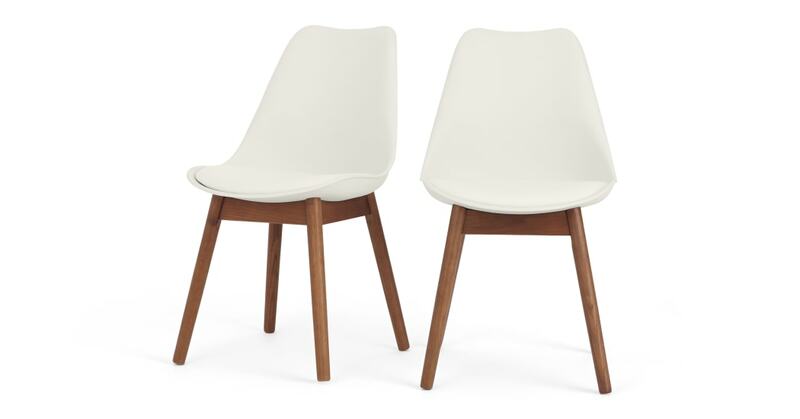 We love their sleek lines, modern curves and solid dark-stained oak legs. But they’re super-comfortable too. The moulded seat has a fixed seat pad for those long, late dining sessions. Dinner getting a little animated? No worries - this is a wipe-clean design. Just grab a paper towel and wipe away any splashes and spills. It’ll be like nothing ever happened.